A Life Underwater is an affectionate portrait of one man's deep sea diving career, told through his extraordinary collection of marine artefacts. The former commercial diver has plundered the deep for over fifty years, bringing to the surface anything that glittered -- even gold. But their future seems less clearly defined. Marine experts are concerned about an invisible threat to the animals that has been building in our seas since World War II. That was when industries began extensively using chemical flame retardants, such as PCBs. These chemicals were later found to harm human health and the environment, and governments around the world banned their use in the 1970s. But their legacy lives on in the world's seas and oceans, say biologists, posing a modern threat to animals such as killer whales, also known as orcas. Ingrid Visser grew up watching killer whales, the largest members of the dolphin family, from the shores of her native New Zealand. The island nation's orca population is made up of fewer than 200 individuals and as such is listed as threatened. "They hunt in New Zealand waters in the shallows for the rays and in deeper waters for the sharks," says Dr Visser. "[These] orca are unique as they are the only population that has so far been recognised to specialise in hunting for rays and sharks." But according to Dr Visser's studies, this diet could be the reason the population is not growing. As large mammals, killer whales consume a large amount of prey. But this position at the top of the food chain, as "apex predators", makes them particularly vulnerable to changes in their prey. That is because orca feed on fish that in turn eat polluted prey or absorb pollution from the water. So the orca ingest all of the pollution in the chain, in a process called "bioaccumulation". Dr Visser says her studies of the bodies of stranded orca and the sharks and rays they feed on have confirmed this fear. "Their prey is definitely polluted - we are seeing spikes in the same chemicals as are seen in the orca," she says. "Studies have identified high levels of flame retardant chemicals in orca particularly from the Northern Hemisphere, for example from the north Pacific, particularly off Canada and the Arctic," he says. "These chemicals have also been found at high concentrations in orca from the Southern Hemisphere." PCBs (polychlorinated biphenyls) were banned globally from the 1970s. In recent years, the European Union has also banned the use of PBDEs (polybrominated diphenyl ethers) in foam for furniture and electrical devices due to their potential toxicity. "The two main groups of flame retardant chemicals, PCBs and PBDEs have a range of effects on animals including interference with thyroid function and vitamin A metabolism, negative effects on neurological and reproductive development and impacts on immune function," says Prof Rogers. But despite actions to limit use of these chemicals, also referred to as persistent organic pollutants (POPs), marine experts suggest the damage has already been done. "PCBs are not water soluble, they only dissolve and accumulate in fatty tissue," says Dr Paul Jepson from the Zoological Society of London. Dr Jepson says this fat solubility is a considerable issue for female cetaceans such as killer whales who feed their young for up to a year on high fat milk to kick-start their development. "You get this huge maternal transfer. It's been calculated that in whales and dolphins about ninety percent or more of the mother's body burden of PCB can be offloaded, particularly to the first calf," he tells BBC Nature. POPs are a problem that is not going away. "Even though PCBs have been banned they're just so resistant to break down in the environment. The decline of these pollutants is happening very slowly," says Dr Jepson. In his role as co-ordinator of the UK Cetacean Strandings Project Dr Jepson regularly comes into contact with marine mammals. His studies into harbour porpoises, common to UK waters, have highlighted the ongoing impact of the chemicals. "We're not really finding any decline at all in PCBs in our harbour porpoises... levels in the UK appear to have plateaued since about 1997." Studying the predators close-up could help their future survival. Dr Jepson says that Dr Visser's findings could pose a serious cause for concern for orca worldwide, especially those in seas close to heavily populated and industrialised nations. "Pollutant levels, particularly with PCBs, will be much higher in European waters than they would in New Zealand," says Dr Jepson. "If they are finding quite high levels in orcas in New Zealand it's really quite worrying for us." This remains a controversial area of study however due to the elusive nature of the subjects. Orca have the most cosmopolitan distribution of any animal, being found in every ocean around the world. But their wide-ranging territories, predatory nature and deep-sea lifestyles have restricted long-term studies to determine population sizes. There is precious little opportunity to study the animals on land either as orca rarely strand: Dr Jepson's last encounter with one on the UK coast was 12 years ago. Not much is known therefore about the causes of orca's deaths and what, if any, pollutants are in their bodies. Dr Visser however is determined to record New Zealand's orcas in the hope they will provide information that will help conservationists worldwide. To do this, the scientist is literally immersing herself in the world of the killers: diving with the animals to document their behaviour and health. Without in-depth studies of populations around the world, there will not be enough evidence to truly know whether populations are in decline. The power of Hurricane Irene was clearly apparent to people in its path, but the extent of the damage may be easier to appreciate when seen from above. The National Oceanic and Atmospheric Administration is using aerial photographs like the one above to assess Irene’s destruction. 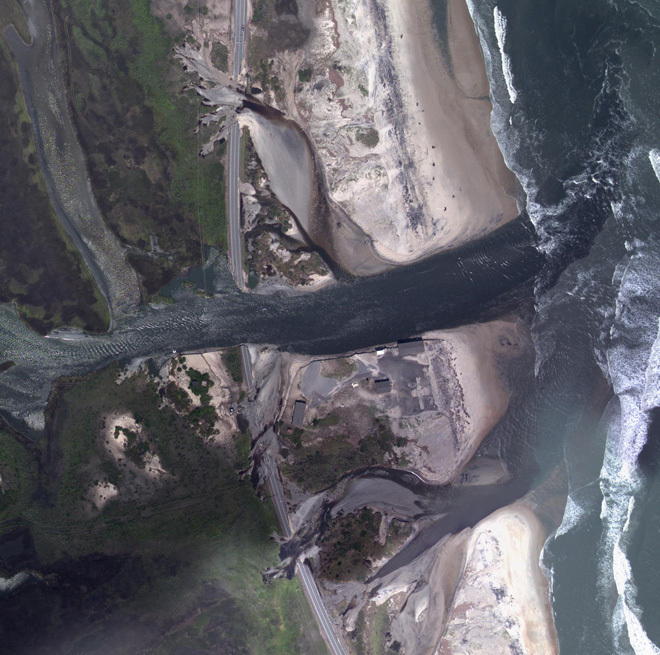 In this image of Hatteras Island in North Carolina taken Aug. 28, the largest breach of Highway 12, which runs along the Outer Banks, can be seen. Water is flowing between Pamlico Sound and the Atlantic Ocean, stranding at least 2,500 residents of the island. The local Island Free Press reported an estimate that the breach shown above is more than 100 feet wide and 8 feet deep. 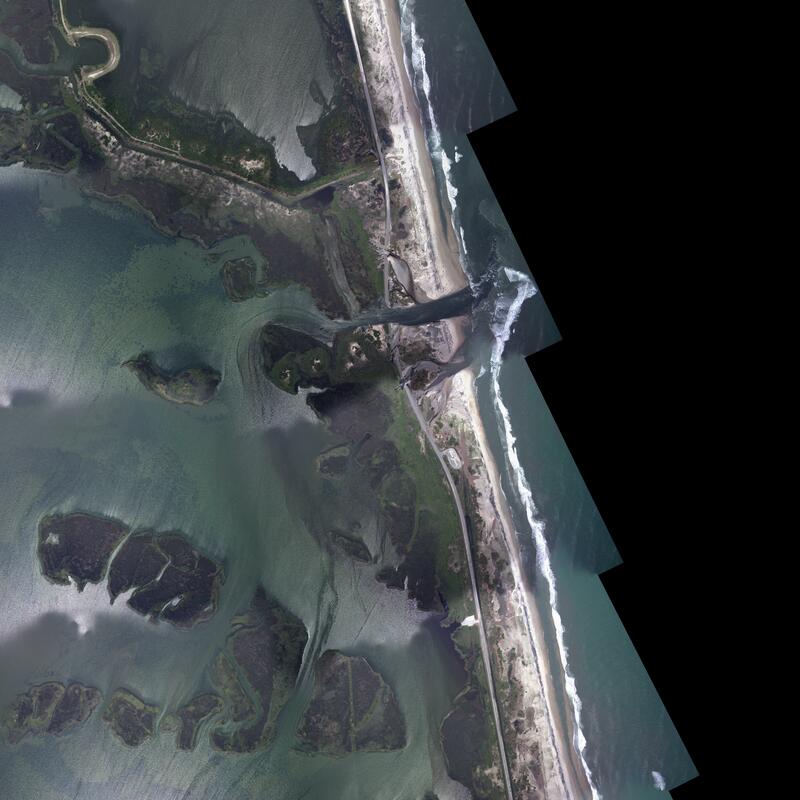 More aerial photography of the damage can be seen using NOAA’s interactive index map of Irene’s path. Veteran sailor Dennis Howard is preparing for one of the most challenging journeys of his life -- a solo voyage around the world. "There's no question in my mind that I can do this," he said. "There is also no question in my mind that I absolutely have to take it seriously 24/7, I need to be vigilant." "My doctor estimates around 5% of my vision remains," he said. "To see what I see you can cover your right eye and then look through a drinking straw with the other -- that's what I see. "I can read a license plate from across the road, I just can't see the car," he continued. He plans to depart on his specially designed 20-foot (6.1 meter) boat the "Avalo" from San Diego, California, in late October. The voyage is expected to take around one and a half to two years, with Howard hoping to end the journey in France. Although he admits it will be difficult, Howard sees the voyage as an opportunity to show others that disability needn't be a barrier. 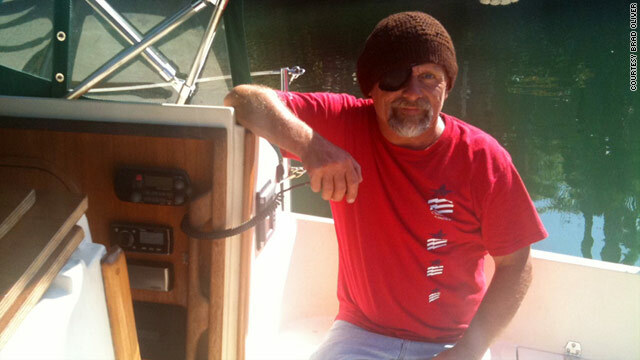 "After I lost my sight I didn't go into the tailspin of despair and fear," he said. "But the more I thought about it, the more I realized I just had to change the way I sail ... I want people to realize that they shouldn't just give up." But for Howard to get this far has not been easy. In order to get back in a boat, let alone sail around the world alone, he has had to learn how to sail all over again. He said: "It would be false to say there is no additional challenge for me, but I put it in the realm of degrees of difficulty. "I had to re-learn how to cross busy streets without a disaster after I lost so much vision and I am doing the same with sailing. "There are the usual concerns about the boat and equipment; it would be foolish to not recognize the reality that things break and a thousand or two miles out at sea, these things can turn catastrophic. So I've spent more than a year reducing those chances." Howard's 20-foot boat has not only been re-fitted in order to make sailing easier, it is also equipped with essential technologies to ensure the safety of both Howard and other sailors, including an Automatic Identification System (AIS), which alerts Howard to ships within a 50-mile radius. "It's great, it shows me exactly where the ship is, what its course is, how fast it's going and what its name is," he said. As well as being tailored to Howard's needs, the "Avalo" has been redesigned to be as eco-friendly as possible. The boat's diesel engine has even been replaced by a small outboard charged by solar panels. "The boat is about as green as it's possible to get. All of my equipment onboard from my radio communications to my navigation equipment is powered by wind and solar-generated power," he said. "I'm hoping along with the educational information about weather, science and geography, these kids who are starting off in life with a particular difficulty can look at this and think they don't need to be limited in what they do." Asked what his greatest concern was before the trip, Howard answered: "It's not the sea, it's not the storms, the pirates or even my eyesight -- it's my mental state. "Despair is a common human emotion," he continued. "At sea for months under conditions of deprivation and occasional terror, and with no one with whom to interact and commiserate, despair can become overpowering if you let it." "Those who have never sailed in blue water, particularly alone with the moon and stars and phosphorescence and wildlife and the majesty of the ocean would have to struggle to appreciate how beautiful it is." Two major Arctic shipping routes have opened as summer sea ice melts, European satellites have found. 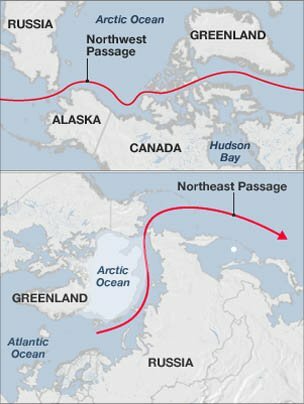 Data recorded by the European Space Agency's (Esa) Envisat shows both Canada's Northwest Passage and Russia's Northern Sea Route open simultaneously. This summer's melt could break the 2007 record for the smallest area of sea ice since the satellite era began in 1979. Shipping companies are already eyeing the benefits these routes may bring if they remain open regularly. The two lanes have been used by a number of small craft several times in recent years. But the Northern Sea Route has been free enough of ice this month for a succession of tankers carrying natural gas condensate from the northern port of Murmansk to sail along the Siberian coast en route for Thailand. "They're often open at the same time in the sense that with some ingenuity you can get through them," observed Peter Wadhams, an Arctic ice expert from the University of Cambridge. "But this time they've really been open, with a proper Suez-size tanker going through the Northern Sea Route with a full cargo - that's a real step forward," he told BBC News. A number of major shipping companies are looking to the opening of these routes to shorten journey times and make their businesses more efficient. But environmental groups are concerned that the progressive ice loss will lead to increased exploration for oil and gas. This, they argue, presents major safety hazards in the often inclement Arctic, as well as strengthening the world's reliance on fossil fuels and so ensuring the progression of man-made global warming - and the disintegration of summer sea ice cover. The Arctic sea ice has been melting fast this year, and for a while it appeared set to break the 2007 record for the smallest minimum area in the satellite record. However, in recent weeks it has been running a narrow second to 2007. "The minimum ice extent is still three to four weeks away, and a lot depends on the weather conditions over the Arctic during those weeks," said Leif Toudal Pedersen, senior scientist at the Danish Meteorological Institute. "Whether we reach an absolute minimum or not, this year again confirms that we are in a new regime with substantially less summer ice than before. "The last five summers are the five minimum ice extent summers on record." The volume of sea ice continues to decline annually. Professor Wadhams believes the advent of summers where the two sea routes are routinely open is not far away. "The Northwest Passage is probably the less reliable because you've got so many small passages in it where chance variations in wind will pile ice up and block it," he said. "But so long as the ice retreats from the coast of Siberia, you'll have a route there." Some computer models forecast that the Arctic could be completely clear of summer sea ice within a decade, though others recently published say there may be high years and low years en route to the final disappearance. Canada and Russia are among the governments jockeying for position as new areas of the seabed open up for exploitation. The red line in this image shows the long-term increase in global sea level since satellite altimeters began measuring it in the early 1990s. Since then, sea level has risen by a little more than an inch each decade, or about 3 millimeters per year. While most years have recorded a rise in global sea level, the recent drop of nearly a quarter of an inch, or half a centimeter, is attributable to the switch from El Niño to La Niña conditions in the Pacific. Earth's seas have been rising gradually with the influence of climate change, but over the past year, this rise hit something of a pothole, with a temporary dip linked to the El Niño-La Niña cycle and all the rains that have poured onto the planet's continents. For the past 18 years, the U.S./French Jason-1, Jason-2 and Topex/Poseidon spacecraft have been monitoring the gradual rise of the world's oceans in response to global warming. This rise is caused both by the expansion of the ocean's waters as they warm up, and by the melting of glaciers and ice sheets. Most of the time, this rise is a steady one, but between last summer and this one, global sea level actually fell by about a quarter of an inch (about half a centimeter). The shift from an El Niño pattern (where waters over the eastern Pacific Ocean are warmer than normal) to a La Niña pattern (where the same waters are cooler than normal) is likely behind the dip, as it altered global rainfall patterns, said climate scientist Josh Willis of NASA's Jet Propulsion Laboratory (JPL) in Pasadena, Calif.
La Niña brought massive floods to places such as Australia and the Amazon basin, and drought to the southern United States. Data from the NASA/German Aerospace Center's twin Gravity Recovery and Climate Experiment (GRACE) spacecraft provide a clear picture of how this extra rain piled onto the continents in early 2011. "By detecting where water is on the continents, GRACE shows us how water moves around the planet," said Steve Nerem, a sea level scientist at the University of Colorado in Boulder. Gravity Recovery and Climate Experiment (Grace) map shows how much water was lost or gained over the continents between the spring of 2010 and the spring of 2011. The red colors show dry regions where water was lost. The blue colors show places that gained water, usually because of heavier-than-normal rainfall or snow. All the extra water that piled onto the continents came from — that's right — the ocean. Each year, huge amounts of water are evaporated from the ocean. While most of it falls right back into the ocean as rain, some of it falls over land. "This year, the continents got an extra dose of rain, so much so that global sea levels actually fell over most of the last year," said Carmen Boening, a JPL oceanographer and climate scientist. Boening and colleagues presented these results recently at the annual GRACE Science Team Meeting in Austin, Texas. Of course, this sea level dip is just a small blip in the overriding trend of sea level rise, Boening said. Water flows downhill, and the extra rain will eventually find its way back to the sea. When it does, global sea level will rise again. "We're heating up the planet, and in the end that means more sea level rise," Willis said. "But El Niño and La Niña always take us on a rainfall roller coaster, and in years like this they give us sea-level whiplash." but they have never found these dangers sufficient for remaining ashore"